Dogs are curious animals that love to participate in everything we do. When it comes to medications, these traits sometimes put them in danger. According to the Pet Poison Helpline, nearly 50% of all pet poisonings involve human drugs, with pain relievers, antidepressants and heart meds topping the list of common culprits. Do you know what to do if your dog eats human medication? Whether or not a case of accidental medication ingestion is a serious emergency depends on the type and quantity of the drug. If your 80 pound dog snags a single Benadryl tablet off the floor, he is unlikely to even feel drowsy, let alone have any ill effects. However, several over-the-counter (OTC) and prescription drugs are harmful or deadly to dogs, even in small amounts. If your dog eats human medication or any potentially harmful substance, contact your veterinarian or the Pet Poison Helpline Immediately. Nearly every household has one type of NSAID or another. This category of drug contains Ibuprofen – which comes under the brand names Advil and Motrin – and Naproxen, which has the brand name, Aleve. These medications are used to reduce inflammation and pain. While they are quite safe for humans, just one or two pills can cause stomach and intestinal ulcers or even kidney failure in dogs. 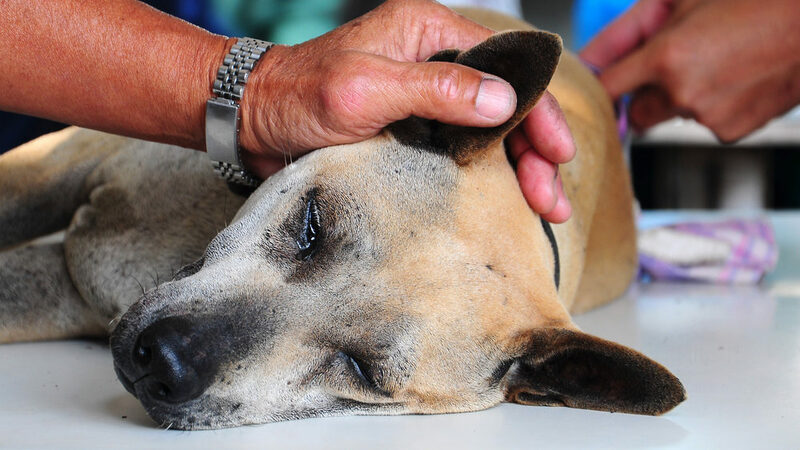 While NSAIDs like Ibuprofen and Naproxen are harmful, there are several medications approved for veterinary use to help dogs suffering from pain and inflammation. Acetaminophen is widely known by its popular brand names, Tylenol and Excedrin. It may also be found in over-the-counter medications labeled for cold, flu and allergy symptoms. Used as a safe, effective pain reliever and fever reducer in humans, Acetaminophen can cause liver failure and red blood cell damage in dogs. When a dog eats human medications that fall under the antidepressant category, there are a variety of possible results. Some of these medications are safe in small quantities, and may be used to help pups dealing with anxiety or behavioral issues. Others cause clinical symptoms ranging from sedation and lethargy to over-stimulation and anorexia. 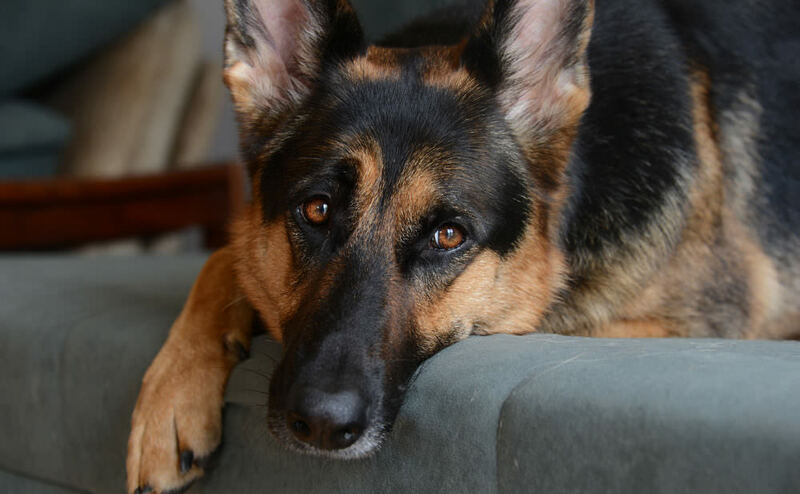 If your dog ingests a large amount of drug, a condition known as serotonin syndrome may be seen. These medications are designed to help humans sleep and feel less anxious. Strangely enough, they have the opposite effect on about half of the dogs who ingest them. Rather than becoming calm and sedate, they act nervous and agitated. In other dogs, these drugs work a bit too well, causing severe lethargy, incoordination, and slowed breathing. 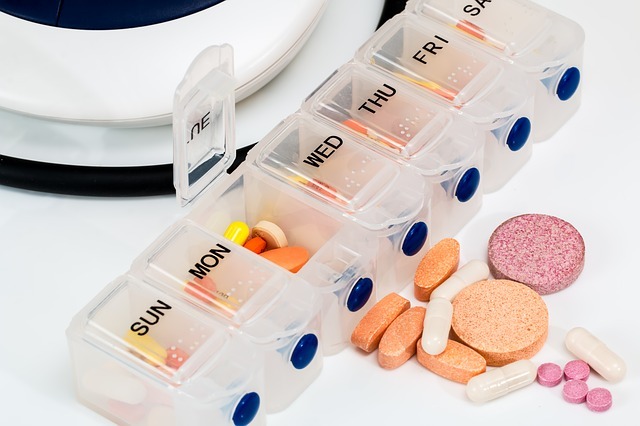 There are two major types of blood pressure drugs, ACE Inhibitors and Beta-blockers. ACE inhibitors are sometimes used to treat high blood pressure in dogs, and are generally quite safe. If your dog eats a small amount of this type of medication it may cause low blood pressure, dizziness and weakness, but is not life-threatening. However, you should still contact your vet, as dogs with kidney failure or heart disease may be more seriously affected. Beta-blockers, on the other hand, can cause toxic poisoning in dogs. Even small amounts of these drugs can dangerously drop a dog’s blood pressure, leading to heart and kidney failure. Decongestants such as pseudoephedrine work by constricting the blood vessels in the nose to reduce post-nasal drip. These medications can be very dangerous to dogs, causing symptoms such as vomiting, dilated pupils, severe blood pressure changes (hypertension), abnormal heart rhythms, tremors, and seizures. Never leave any medications on low countertops or tables where a curious canine could access them. Keep your purse high out of reach if you carry medications inside. Keep all medication and supplement bottles securely closed with childproof caps. If you spill a liquid or topical medicine, immediately and thoroughly clean it up. If you spill your pills, pick them up right away and count them. Never give your dog any kind of medication or start a supplement without first talking with your veterinarian. While it is not always life-threatening when a dog eats human medication, it should always be treated as such. Pets metabolize medications very differently than humans, so even a drug that seems harmless could potentially cause problems. If your dog ingests any human medication – including vitamins or herbal supplements – call your veterinarian or Pet Poison Helpline’s 24-hour animal poison control center at 855-764-7661 immediately.